I had to stop looking at the online version of SR a few months ago. 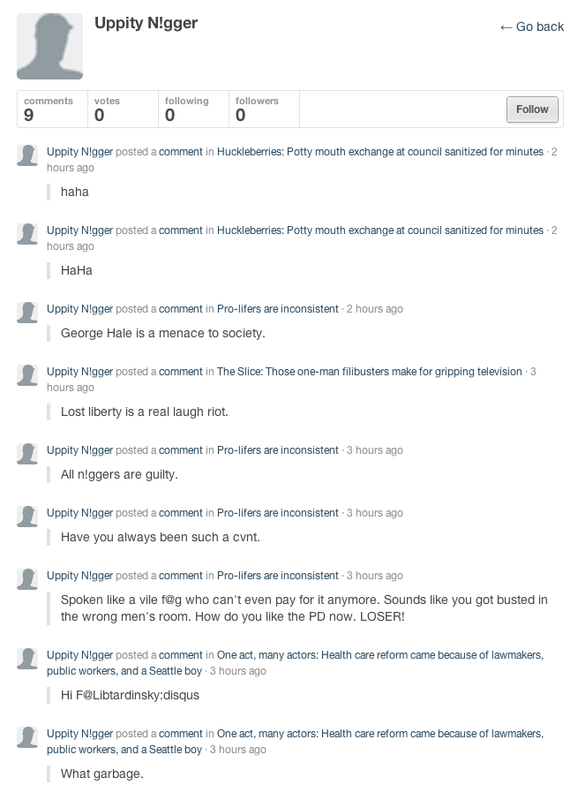 It's just overwhelmed by ignorance, racism, fear, anger... the forum seems to draw out the worse elements of troll-ism. I don't know why SR doesn't tie identities to at least something quasi-non-anonymous -- I've seen other online forums use Facebook. Of course it's not perfect, but it's a step in the right direction. In my opinion, the function of anonymity seems to be at the foundation of an extremely effective barrier to any hope of civil discourse. Anonymity is great for the whistle-blower scenario, but for general civic discourse, I can't see a scenario where it's a good thing. I spoke to Addy Hatch at the Review about this at a workshop I attended last month. She and the staff are fully aware of the garbage that gets posted. 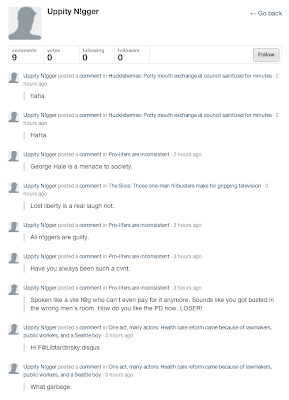 They are hoping that with their switch to Disqus the "good" comments get voted up and the crap gets voted down. Common Sense says anonymous arguments are no basis for a civil democracy! Er, wait a sec. We are talking about Obama's anonymous death drone panel, right? In The Olden Days of Fidonet [a network of (typically) modem-accessible bulletin boards] we had anonymity and usually civil discourse. I think the difference was the much higher barrier to entry - not many people would go to the trouble of accessing the bulletin boards.